Check out all the events we host throughout the year -- these are annual events, so if you missed it this year, make sure to follow our social media so you can remember to come next time around! Click the buttons below to check out the photos from each event! 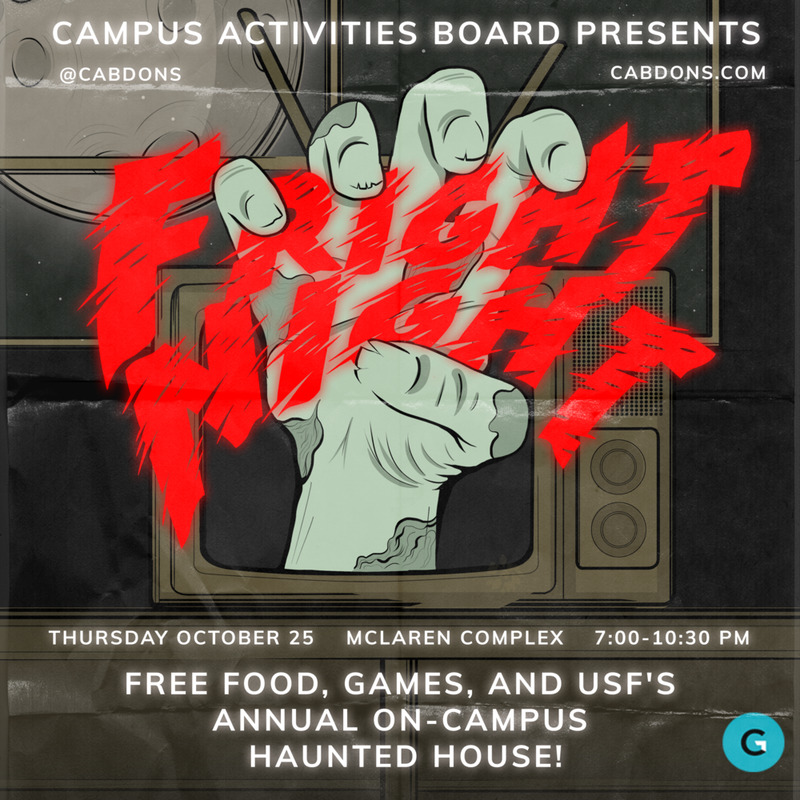 Each month CAB hosts Late Nights where you can come and sing with friends and de-stress from a long day of classes. 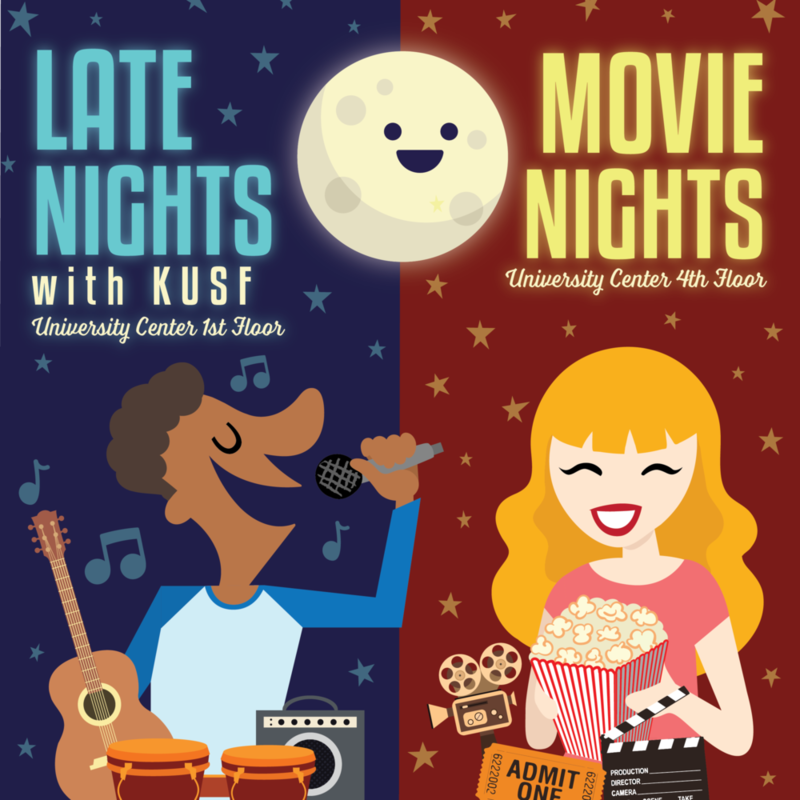 Come join us as we have our first ever movie nights! 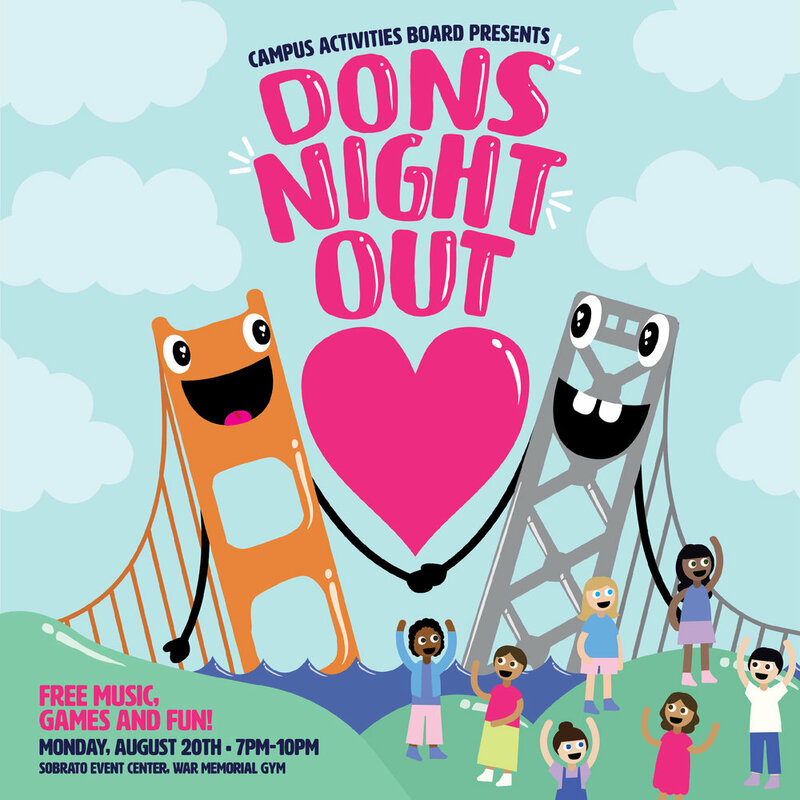 Dons Night Out (DNO) is CAB's newest signature event, which debuted in August 2015. DNO welcomes incoming and returning students into Bay Area culture. 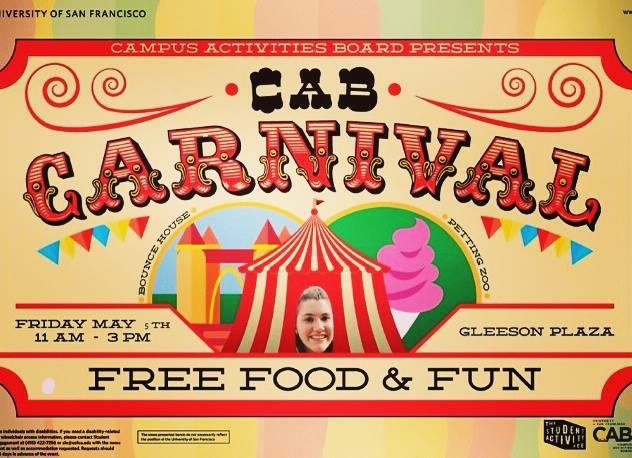 DNO will have FREE games, activities, food, and to top it all off -- a musical performance from Bay Area Artists!! Make sure you keep up to date on all of our social media accounts to hear more about DNO, Meet & Greet giveaways and more! Our annual Halloween event included a Haunted House and Harvest Fest! The Haunted House featured killer clowns, zombie babies, chainsaws, and more! The Harvest Festival features sweet and savory foods, music, games, and plenty of candy! The Holiday Roller Rink & Silent Disco is our newest CAB event! Enjoy so hot chocolate and holiday treats as you jam out and skate the night away. It's the best way to relax and hang out with your friends right before finals. Our annual student DJ Competition winner opens at Donaroo in the spring! 2019 DJ Competition winner is Jasper Tay! Our annual spring concert featured a artist every year with performances by USF dance teams VarCity and Vitality and student DJ Competition winner! Students found this a great way to relax right before hitting the books for finals! There were many games and activities, with lots of great prizes. We can't forget about the FREE cotton candy and popcorn!